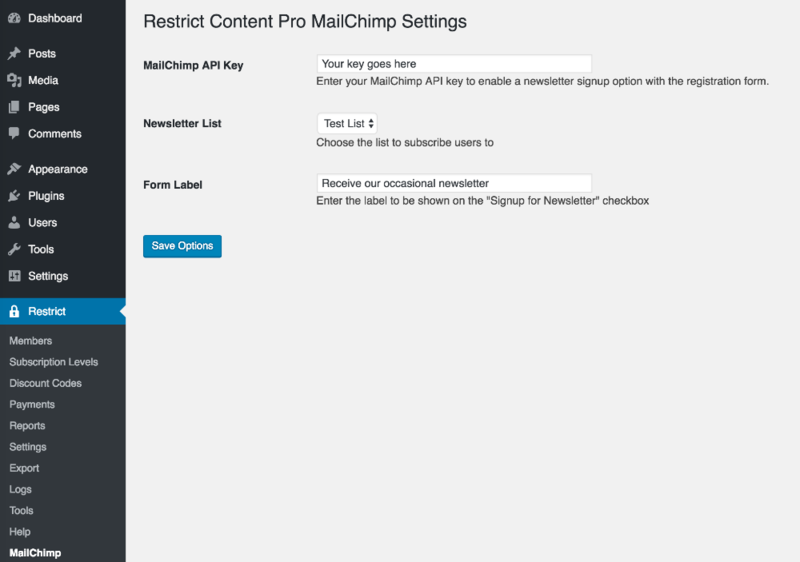 The MailChimp add-on for Restrict Content Pro (RCP) will integrate your site with MailChimp, a powerful email marketing service that makes it very easy for you to communicate with and retain your customers. The add-on allows your customers to subscribe to your MailChimp email lists when they register for a membership on your RCP-powered website. This add-on requires Restrict Content Pro and a MailChimp account. You can get started with MailChimp for free. To configure these, go to Restrict > MailChimp in your WordPress dashboard. In the MailChimp API Key field, enter the API key found in your MailChimp account. You can find that under your account profile in your MailChimp account. If you do not have an API key already, you can create one. After entering your API key, click the Save Options button. The page will reload. 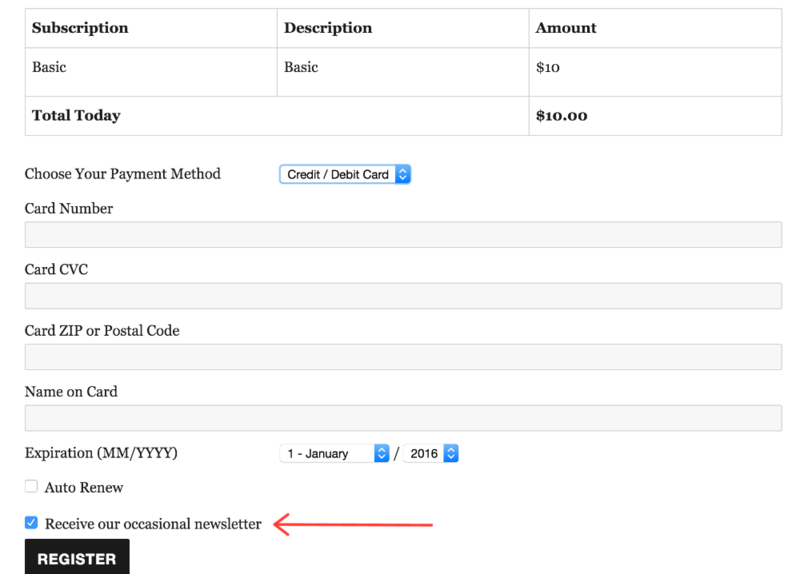 Now you can select the Newsletter List you want people to subscribe to when registering for a membership. Note: This add-on will subscribe members to your list, but it does not do a continuous sync. For example, if a user's membership expires, they are not automatically removed from your MailChimp list. There's also a Pro version of the MailChimp add-on available for Professional and Ultimate license key holders. It lets you define the mailing list on each subscription level, skip the double opt-in process, hide the checkbox and automatically subscribe members, e-commerce tracking, and more.